A couple of years ago, I was invited to present at the annual Inside Sales – Sales Acceleration Summit and I talked about “The Science of Sales” (InsideSales.com posted the presentation on Slideshare). It was fun to see that the other presenters at this event were the likes of Steve Young, a Hall of Fame NFL Quarterback who followed Joe Montana as the 49ers QB, as well as my industry friend Aaron Ross, who is the author of the Predictable Revenue plus a number of other business leaders and growth experts. This original formula was taught to me first in 2006 by Walter Scott who was my boss when he was the CEO of Acronis. Walter is one of the Top 1% best CEOs in software and he comes from a sales background so his insights on driving sales results and growing revenue are impeccable and have proven to work again and again because he has consistently grown companies from very little to $100M+ in revenue with an average of 100%-200% in annual growth. That’s very hard to do and it’s rare. 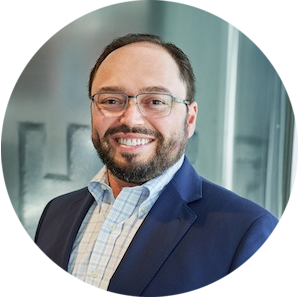 Walter is also very analytical – he is the most data-driven CEO in software for whom I had the fortune and honor to work for. The original Magic Sales Formula that I learned comes directly from Walter and what used to coach and develop sales teams to hit the number. One other key point to note is that while selling is both art and science, I believe that selling itself as well as Sales Management are both a lot more data-driven and a lot more “science” than people think. 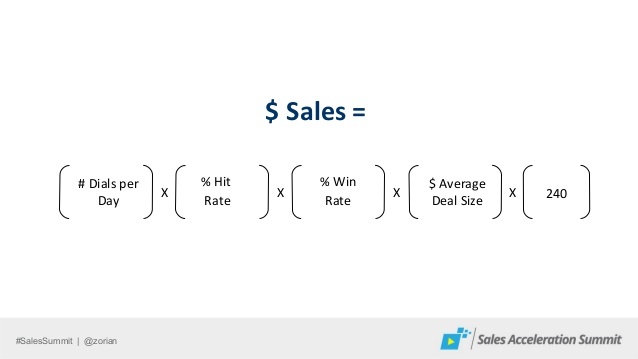 This formula is one of the fundamental and most basic ways to describe formulaically how to grow sales and what inputs are the key factors that drive results. 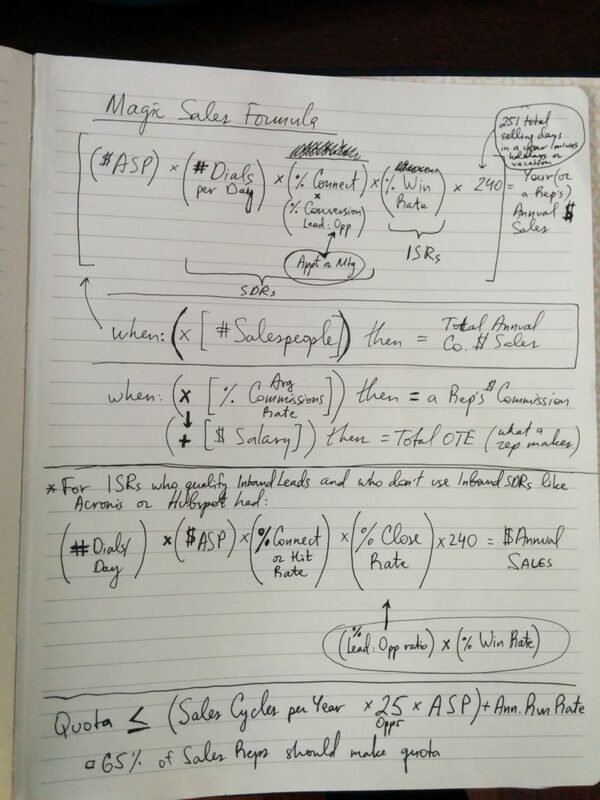 Have you used the Magic Sales Formula? How have you applied it as a CEO, CRO or a VP of Sales to drive results?